(Nanowerk News) In a process known as directed evolution, scientists reengineer biomolecules to find ones that perform beneficial new functions. The field is revolutionizing drug development, chemical engineering and other applications, but to realize its promise involves painstaking and time-consuming laboratory work. In a study published in the journal Cell ("Scalable, Continuous Evolution of Genes at Mutation Rates above Genomic Error Thresholds"), University of California, Irvine researchers reported that they have accelerated and simplified directed evolution by having live cells do most of the heavy lifting. By inserting a specially engineered DNA replication system into yeast, the scientists were able to coax selected genes to rapidly and stably mutate and evolve as the host yeast cells reproduced. Previously, for scientists to screen biomolecules to see if a desired function has been achieved, they needed to build a DNA library in a test tube and insert that DNA into the cells, a laborious and difficult process. The UCI team has eliminated this step entirely in their new approach, letting the cell’s internal machinery do all of the work. 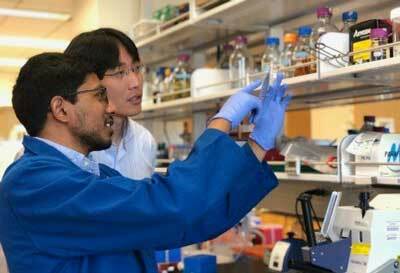 According to senior author Chang Liu, UCI assistant professor of biomedical engineering, when using directed evolution to create a better enzyme or protein – the work that won the Nobel Prize in Chemistry this year – the number of evolutionary cycles becomes very important, because each one can be seen as a step toward a new or improved function. “But if each cycle requires repetitious test-tube DNA molecular biology processing, you can only reasonably go through a few iterations,” he said. In addition to speeding and simplifying directed evolution, Liu said this new technique can allow scientists to perform additional types of experiments that they had difficulty doing in the past. For example, in their study, the UCI researchers described how they evolved an enzyme in 90 replicate experiments in order to figure out all the ways it could adapt to a certain condition – in this case how a malarial target could develop resistance to a certain drug. “There are many ways of solving a particular evolutionary challenge such as drug resistance, so the ability to run evolution experiments at the scale that we have allows us to capture and understand more of those possibilities, giving us therapeutically relevant insights into how resistance arises,” Liu said. Future work will focus on getting the new platform to continuously evolve disease-fighting antibodies and valuable enzymes for drug synthesis, he added.